We are a family run trading company located in Barcelona, the capital of Southern Europe and the heart of the Mediterranean trading route. Barcelona is well known by having one of the most important harbors of Europe, but this city is also known by its exquisite gastronomy, being the origin of some of the best chefs of the world. Our strong passion for Gourmet food, both on a personal and professional level, is the main driver of Selective Export. We dedicate ourselves to guarantee excellence through all our services and product portfolio. We speak more than 5 languages and have contacts across all continents, which enables us to set a strong network between producers and consumers based on trust and reliability. 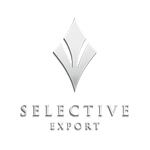 Our mission at Selective Export is to screen the market searching for the best products of the Gourmet Industry and making them available to those across the world seeking for a unique experience. All products which have been granted with our stamp have gone through an exhaustive quality test, which certifies the high standards of the products commercialized.